Release Message: Three super-powered little girls constantly save the world (or at least the city of Townsville) from monsters, would-be conquerers and a few other gross things. Featuring Tom Kenny as the Narrator. 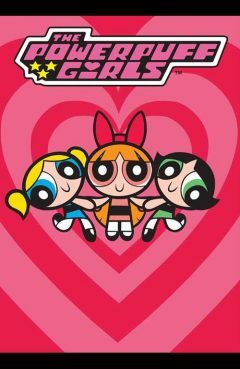 Description: Three super-powered little girls constantly save the world (or at least the city of Townsville) from monsters, would-be conquerers and a few other gross things. ///// The straight-laced Prof. Utonium's attempt to create perfect little girls accidentally includes "Chemical X", resulting in take-charge red-head Blossom, blonde sweety-pie Bubbles and ready-to-fight brunette Buttercup. These flying, super-strong, karate-chopping girls with the occasional heat vision race into action to save the city of Townsville (and, we're told, the world) from all sorts of crimes and creatures.